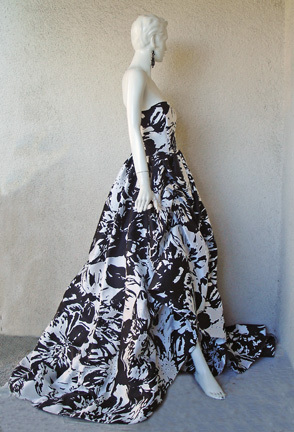 Entrance making Oscar de la Renta's over-the-top ballgown designed in the winning combination of black and white creating a fabulous high fashion statement. 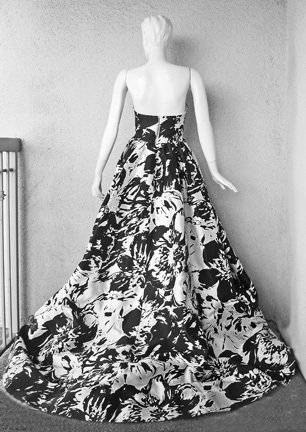 De la Renta, known for his spectacular fairytale red carpet ballgowns. doesn't miss a beat with this creation; great style, tailoring, and impact ... a masterpiece ... created for that special grand occasion that requires elaborate dramatic and visual appeal. 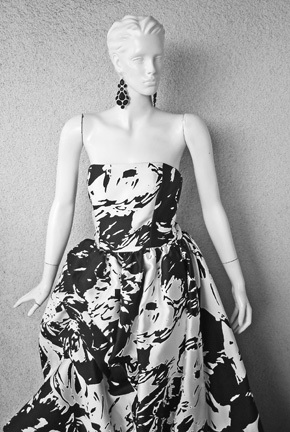 Strapless boned corset bodice with asymmetric slightly pulled up at hip as the skirt expands into a forever expanding huge skirt. 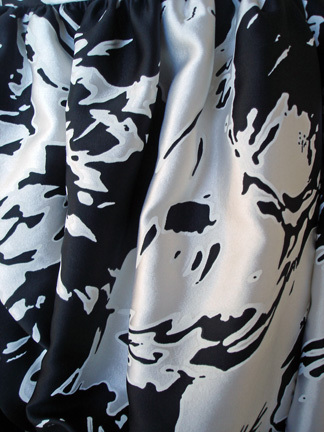 Fashioned of black and white tasteful floral print in rich Italian silk. 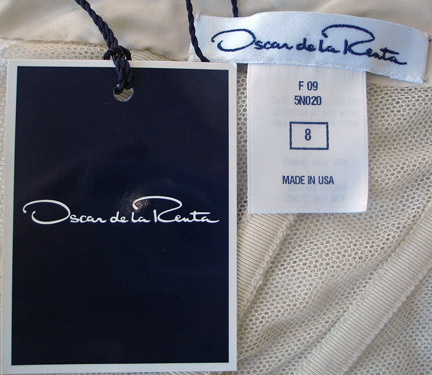 Fabric is of superior quality and the gown is weighty and substantial. 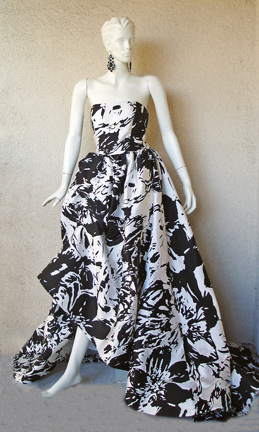 If you are looking for an exciting bold fashion statement .... this is it!